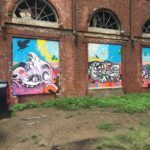 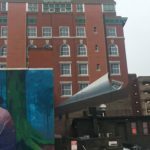 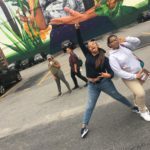 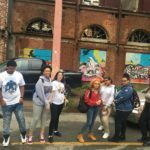 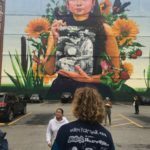 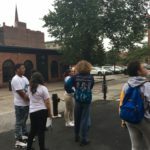 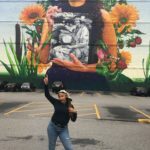 On Thursday, AS220’s Visuals Crew walked through downtown Providence to view the different murals around the city. 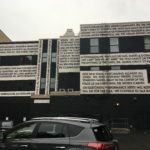 Each mural had a different style and were done by various artists such as Shepard Fairey, who went to RISD and is most known for his “Obey” brand. 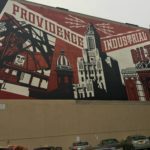 His mural on the back of AS220 displays the industrialization that occurred years ago. 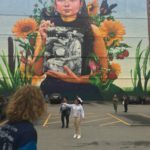 Venturing further through downtown we also found a mural of a Native American women holding a picture of her ancestor, with the title, “Still Here”. 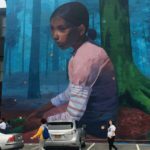 Despite what her people may have went through years ago on this land, they’re still here, and will remain here for years to come. 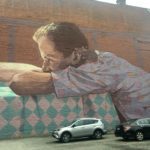 We saw about 12 different murals, all downtown. 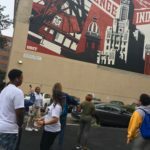 Each mural had its own artistic flare and unique meaning.